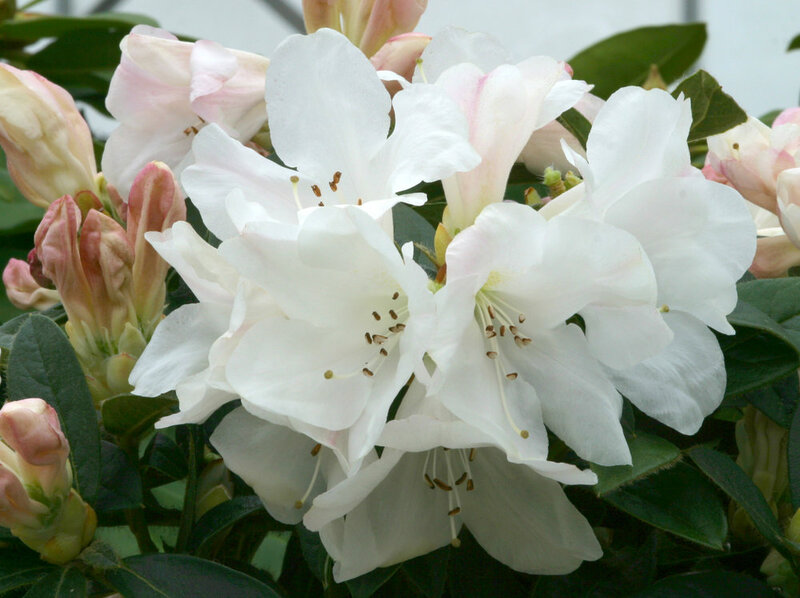 Tinkerbird is a superb new variety, the only scented dwarf rhododendron and perfect in a pot! They can grow happily at the front of borders or in rockeries in the ground or pot them into a nice pot and they will be very happy for many years. Read more about planting in pots here. If you want to create a focal point near a pond or water feature they are perfect, needing little attention and reliably flowering every year the are perfect low-maintenance shrubs. Their alpine past means they love well drained soil but if you are in a dry area you will need to help them in summer with extra watering. They don't ideally like to be in full sun, their natural habitat is on the edge of the tree line so a little shade and shelter from cold winds is much appreciated. The perfect choice is one of the varieties of Acer palmatum, the Japanese maple, these elegant, large shrubs provide the perfect setting for dwarf rhododendrons giving them just enough cover to protect them from cold and wet and keeping the flowers safe from any spring frosts. The flowers will also then last longer and it brigs out the flower colour. For very open positions, which are less sheltered, choosing a very late flowering variety like the handsome Sacko works well. For something more unusual try Razorbill a beautiful bi-colour which is part of a range bred by Peter Cox, a very famous Scottish breeder who named them after birds found in Scotland. Read more about Peter Cox and his hybrids here. Scented foliage is always a lovely added bonus and the two purple hybrids Ramapo and Purple Gem have almost a hoppy smell to the leaves with lovely silvery undersides too. Tinkerbird is absolutely beautiful with extremely sweet smelling flowers. It is less hardy than some of these dwarf rhododendrons and must be grown in a pot, I have one in a half barrel that is now five years old. Keep it next to wall or under pergola for dry, shelter warmth and above all to hold the fragrance. This is a spectacular plant, treat yourself!